Historic European Cobblestone® is authentic, 100- to 400-year-old reclaimed granite or sandstone cobblestone for driveways, walkways, patios and more. This is an exceptional collection of cobble and curb, originally quarried, hand trimmed and installed in village and city streets in Europe. The top surface is naturally weathered and worn after centuries of exposure to climate, foot traffic, horses and carriages. We offer reclaimed cobble in six different sizes and have the ability to slice the cobbles for concrete base installations. 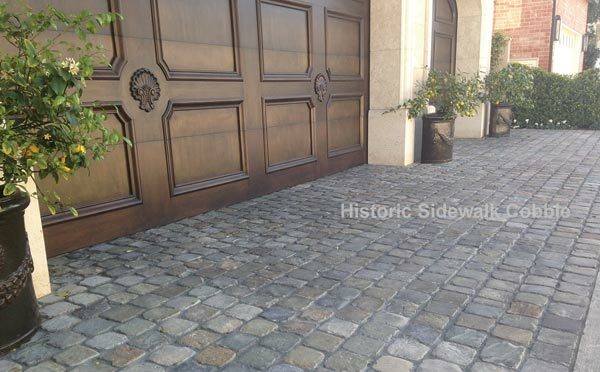 Historic Sidewalk Cobble® is a special reclaimed cobblestone originally used only in pedestrian areas. Historic Sidewalk Cobble has not been exposed to the dirt, oil, and eventual asphalt that covered many cobblestone streets. The tops are very flat and the patina is unmistakably genuine. Color range: warm grays and earth tones. Size: 5- to 6-inch squares x 2–4 inches high. As in all aspects of masonry, there is a great deal of artistry in restoring older and historic masonry. When tackling a new project, the artisan mason, while not looking for originality, needs to have a vision of the tradition of the structure, the composition and formulation of the original materials, and knowledge of the technology of the period in which the original was created. For nearly a century, throngs of area residents of Waltham, Mass., made their way to work in the iconic 1854 factory of the Waltham Watch Company along the Charles River. The first enterprise to produce watches on an assembly line, the company operated in its expansive, 405,000-square-foot facility until 1949, after which a few light industrial and office tenants occupied the buildings. The Italian Hall Building that serves as the Italian American Museum of Los Angeles was constructed between 1907-1908. The ground floor of the two-story unreinforced brick masonry building, which is listed on the National Register of Historic Places, was home to several shops. The second floor hosted numerous banquets, weddings, meetings, and concerts. 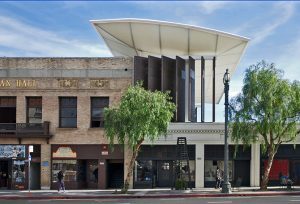 Located on historic Olvera Street, the building is part of the El Pueblo de Los Angeles Historic Monument, a historic district that is the oldest section of Los Angeles.